With over 75 years of collective experience within the travel industry, you are assured of exceptional service and knowledge. Unlike the major high street travel retailers, we can sell you the holiday that matches your requirements, as we are free to help you choose the holiday that suits you best. Time is a precious commodity so why spend hours surfing the Internet when we can do it for you. Experience the world travel is part of Barrhead Travel which was founded in 1975 and is one of the U.K’s largest independent companies. We are a family owned business which ensures a customer-centric experience, along with the backing of one of the largest independent companies in the UK it ensures we can deliver the best choice and value in the marketplace – therefore you do get the best of both worlds. As an independent, we are not affiliated with only one particular Tour Operator which means you can trust that we will deliver the best possible value from a huge selection of suppliers. Our massive buying power ensures you of this. At Experience The World Travel, we sell holidays that give you a lasting memory which is so important in life. An experience you can share with family and friends and that lasts a lifetime. Altogether a different and better experience! You can choose from a large selection of airlines, departure airports, durations and hotels. Therefore, creating a holiday around your personal requirements. If a brochure package holiday doesn’t suit you, let us create your ideal trip for you, whilst still ensuring your financial protection. We add value to your holiday by offering a variety of ‘added value’ extras. What is on offer varies from holiday to holiday and examples include UK airport transfers, private resort transfers, priority lane passes at various airports and VIP lounge access to name but a few. Why not experience ‘added value’ on your next holiday. We deal with a wide range of Specialist Tour Operators featuring all types of holidays ranging from single centre holidays, tours, rail holidays, activity holidays and safaris. Many of which you will not find in a major high street travel agent. This enables us to offer you better choice and value. "I have had the pleasure of dealing with Arlinda and Nicky at experience the world travel on a few occasions and have nothing but praise for their efforts. They go over and above to answer all of your questions and are always at the end of the phone if you need anything. It is these important details, together with their very competitive pricing, that make us prefer to use them over an internet company. For these reasons we highly recommend them. :)"
"Having just returned from a 5 night stay in New York I just wanted to say thank you to Experience the World Travel for recommending the Refinery Hotel we were well looked after by the staff there and any requests were dealt with quickly! The location was perfect as we were quite central to visiting the sights and attractions of NY. Thank you for providing a list of places to visit and recommending to book advance tickets particularly for the Empire State Building. We’ll be back to see you soon to book our summer holiday, thanks again." "Nikki and her team have helped us book numerous trip over many years, including a 76 day extravaganza around the southern hemisphere. She has helped us plan some wonderful trips and has recommended some first class places to stay. I have no hesitation in recommending that you let her take the strain out of planning your holiday." Nikki was a great help in both developing and managing our holiday plans. She gave us prompt service and really went the extra mile to make sure we had everything we needed for our trip. It took all of the burden from us - we just had to go and enjoy the holiday! It was a pleasure booking our holiday with the lovely ladies at Experience The World Travel. 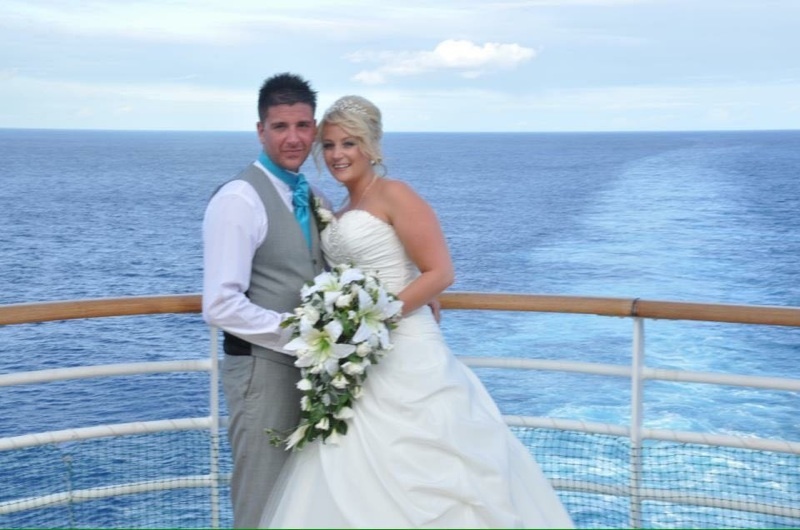 They spent a lot of time researching and pricing our dream holiday to The Maldives for 2014. We are quite fussy and know what we want but nothing was too much trouble for them while they patiently trawled numerous holiday companies, packages and resorts before they found the one that was perfect for us! Thanks Nikki and Arlinda, we will definitely be back to book our 2015 holiday with you soon and would not hesitate in recommending you to all our friends, family and colleagues. People should not just "Experience the World" but they should experience "Experience The World Travel". We love it! Just a short note to thank you for the excellent service we received when booking our holiday with you this year. Your patience, knowledge and expertise were most appreciated and the deal you were able to negotiate for us was unbeatable. We look forward to booking more holidays with you in the future. Nicky and Arlinda was first class. Their knowledge of the travel industry is extensive and they always try to put packages together to suit all budgets. They are always welcoming and friendly and we will certainly be back to book our next holiday. I found my experience with Experience the world travel friendly and helpful and everything was explained clearly and the prices quoted where the best around at the time of booking. I have already booked 2 holidays through them so far. One of them being a family 50th holiday including members who live all round the world and trying to tie it in as one holiday. They found flight and accommodation for us all and looking forward to this holiday to come summer 2014. I will continue to book my holiday through them in the future due the friendly staff, efficient service and hassle free booking. Why don't you give them a go and see how easy it is yourself. For ‘stress free’ holiday planning, look no further than Arlinda, Nikki and their team, at Experience the World Travel. Arlinda put together a great New York break for us, with tips and recommendations (together with a list of shops we simply have to visit). Things such as ‘don’t book breakfast – you need to go out and experience it’ (then we find the Hotel gave us complimentary breakfast any way).and ‘don’t book airport transfers – you must have a ride in a New York taxi’. It’s these things that really make the difference to going on holiday and then really experiencing the place you are visiting. You will not find a better level of service in the High Street so turn off the computer now!! We can thoroughly recommend Experience the World Travel, we have found them to be very competitive on price and extremely friendly. It is a pleasure to support such a good local business and we would have no hesitation in booking with them in the future. Thank you and your team for arranging such a fabulous holiday for us.We had a brilliant time, and the list of sightseeing recommendations proved invaluable. Rest assured we will definitely be booking with you again, and I have already recommended you to other people and will continue to do so. You made the whole process so easy especially compared to the hassle we have had trying to arrange holidays online.Once again, thank you and we will be in touch soon to book our next holiday. A big thank you to the team at Experience the World Travel, they provided us with our complex travel requirements including hotel suggestions, flights, cruise and car hire for 4 people, all at competitive prices. We felt confident in our choices and everything went very smoothly, from our complimentary door to airport collection to our return three weeks later. Already looking at our next holiday options, see you soon ladies. We would like to thank you Nikki and team for being our "one stop shop" for all our travel needs. It completely takes the stress out of arranging flights, hotels, transfers, restaurant bookings, etc, etc, etc. You have very knowledgeable staff and have recommended some fantastic destinations for us. Can't imagine shopping for a holiday anywhere else Nikki, your service always exceeds expectations and is second to none! I've been using the company for over 4 years now and I'm more than impressed with their services. Not only do they find the best accommodation to fit my personal wants/interests but they do it with the fixed budget I give them. Whenever visiting the Woburn office, the staff are always happy and very helpful. As a customer, I never feel rushed or pressured into making a decision. I've just recently returned from Lanzarotee and I had the most brilliant time. Everything from the flight, transport to the hotel and the hotel itself were amazing! Everything I was promised was more than fulfilled. "Thoroughly recommend Experience the World Travel they are extremely friendly and helpful they have guided us to some great holidays! Many thanks see you when we get back. After being together for two years we were engaged, and I had the most gorgeous ring on my finger! Find out more about New York and make your next trip a memorable one. What memories will you be treasuring from your next holiday? Every holiday we sell is fully financially protected. As we hold an ATOL licence, when you book with us you can have the peace of mind that comes with knowing that your money is completely safe.